New TV Spot For "CONAN THE BARBARIAN" Reveals Intense New Footage! Lionsgate have released a new action fueled TV spot for their upcoming Conan The Barbarian and its admittedly pretty damn good. Directed by Marcus Nispel the movie stars Jason Mamoa as Conan and also stars Stephen Lang, Said Taghmaoui, Rachel Nichols, Leo Howard & Rose McGowan. Conan The Barbarian hits theaters August 19th 2011. The song in the spot is by Hollywood Undead. Hit the jump to check out the Spot. 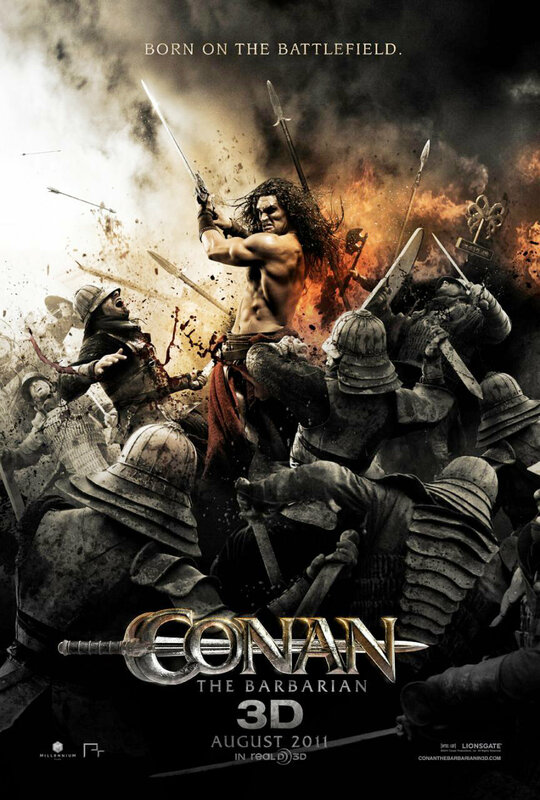 Conan is a young Cimmerian man cast adrift in the world by the brutal murder of his father and the destruction of his village. Driven by the need to avenge himself upon the evil Khalar Zym, Conan learns to steal, seduce, and fight his way to his goals. He soon discovers, however, that there are greater things at stake than his own personal quest: an unearthly malevolence stalks the world, and it may be up to Conan himself to save Hyboria from ruin. I'm reading: New TV Spot For "CONAN THE BARBARIAN" Reveals Intense New Footage!Tweet this!